Anyone who knows me and/or my friend Seth Thomas will know that a few years ago, we started writing a zombie apocalypse novel together. Throughout that time, other projects took the forefront of both our lives, but we never forgot about this one. 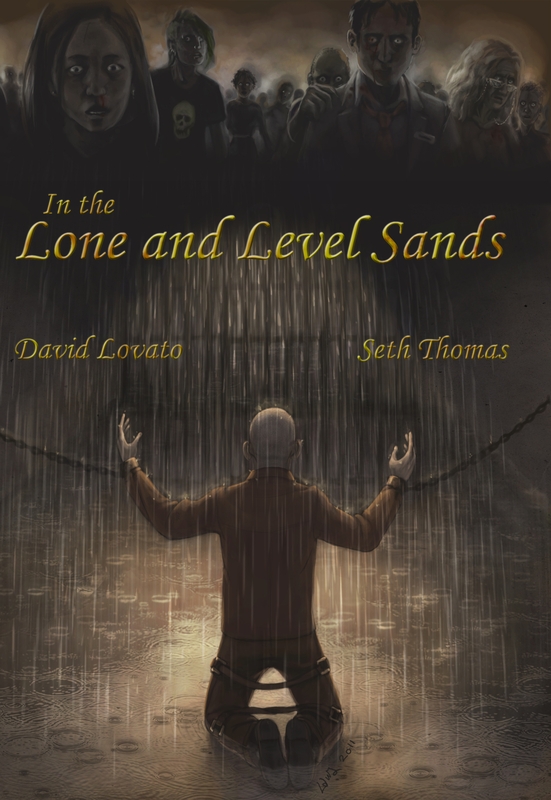 I’m glad to finally announce our book, titled In the Lone and Level Sands. The story follows seven groups of people across America as they deal with the onset of the zombie apocalypse in different ways. When people around them begin killing and eating each other, unlikely allies band together for survival. But the creatures are evolving, and if the survivors want to live, they’ll have to do the same. In the Lone and Level Sands is set in the same universe as our collection of short stories, After the Bite. We plan to release it in late November, but if you like the book’s Facebook page, you’ll have access to excerpts, a lengthy preview of the book, and a few surprises along the way. Seth and I offer our thanks to everyone who has followed this book’s progress over the years, and any newcomers to it as well. We’d also like to thank Laura Soret for providing the gorgeous cover artwork. Stay tuned. Good things are coming. To start them off, use the coupon code “DV23C” (without quotes) to get the e-book version of After the Bite free at Smashwords. The coupon expires on December 1st (subject to change, but only if I have to change it). Next Article Free Norman Peters!